Will Jogi Löw set another fashion trend at the upcoming Soccer World Cup? In 2010, the sales figures of blue knitted sweaters with a V-neck worn by the national team’s manager went through the roof. The demand was enormous, but the trade was not prepared for it. Prob-lems like these can be solved by Microfactories, because they make it possible to produce apparel in close proximity to the customer. Microfactories can be a solution for responding to short-term bottlenecks caused by sudden increases in demand. They are ideal for fast production in close proximity to the customer, especially for individually designed clothing, and they make production profitable, even for batch size 1. With a 3D simulation, a customer can design a garment exactly how he or she wants it to look. 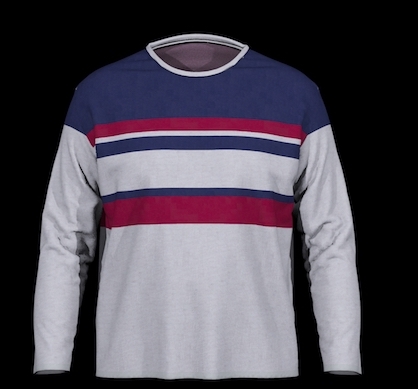 A customer designs a pullover, for example, and decides on its production and purchase based on a photorealistic simulation. If he is satisfied with his product, production can start immediately.